The increasingly rapid rate of change, globalisation and the emergence of innovative new technologies and communications platforms have ushered in an evolving shift in public consciousness. Social media is the new powerful megaphone of cyber-democracy. Recent studies from The Australian Bureau of Statistics found that 16.2 million Australians own mobile phones, many of whom utilize their smart phone devices to surf the internet. Globally there are estimated to be around 6 billion owners of mobile phones. Moreover Google statistics show that over 12 million Australians utilise the internet to browse the web. Social media usage is increasingly becoming a more popular pastime with individuals. To date Facebook has more than one billion account holders. YouTube, Zynga and Google Search closely followed in the results league as maintaining significant numbers of account holders. The explosive growth of social media platforms has resulted in Twitter members sending over 290 million tweets per day, during the 2012 period. Today’s cyber activists and digital commentators operating within the cyber – realm are in fact a modern day equivalent of the Public Sphere, as envisioned by enlightened 20th century philosopher Jürgen Habermas. Some of today’s cyber activists represent the vanguards of positive change that usher in truth, justice, transparency and accountability. Further emphasis for this new vanguard of change prescribes ideologies to emulate forms of civil discourse, rational communication and free speech in order to enhance a more prosperous, harmonious and open society. It has been noted around the world that the actions of one individual have been shown to have a “butterfly effect” encouraging likeminded people to stand up and challenge the authoritarian and dictator led regimes, in addition to the large corporate and media bullies. Cyber activists are currently riding the waves of change across the internet and the planet through the utilisation of social media platforms, to engage people to mobilise and scale up support for their causes. 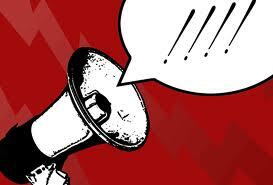 This megaphone democracy is experiencing burgeoning growth as it allows change agents to generate potentially millions of global followers within their social media platforms. Recently left wing Australian cyber –activists that created a social media campaign that threatened “to destroy the joint” on Facebook, engaged sufficient momentum to challenge the powerful king maker Alan Jones. The digital natives are leading the charge in this new game plan for the future of society and the baby boomers currently residing in the seats of power have not been briefed on the game plan. This inherent technology and media suaveness affords younger generations more power and leverage to globally escalate contentious social, economic and political issues at rapid rates. 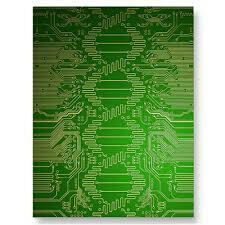 Digital natives are individuals with digital technology embedded in their DNA. They understand the realms of cyber space and its corresponding technological and communications platforms and mostly seek to implement positive global change. Conversely many digital immigrants are typically people who are generally baby boomers and are not as technologically literate as their younger generational counterparts. According to cyber-activists ‘technologies of control’ include; government surveillance of the internet, suppression of free speech and theft of intellectual property and personal data harvested during online surveillance activities. Such activities are often introduced to society with unwarranted threats of “cyber-terrorism”, promises to capture cyber –hackers and online pedophiles. The reality is quite different, cyber-hackers and online pedophiles hide their digital footprints by utilizing internet anonymisers such as the TOR software. Additionally they typically encrypt all their online communications with military grade tools that once captured take decades to break. Moreover most cyber criminals are wise enough to never discuss their criminal activities on or near the phone, for fear of government eavesdropping. Essentially if cyber criminals follow these basic principles the ‘technologies of control’ systems will never capture evidence of their online activities. This is the main reason why law enforcement agencies are beginning to realise that traditional investigative methods work best to capture cyber- criminals. The Alan Jones versus Julia Gillard online campaign represents a test case to show the public how personally directed abuse from all components of the political spectrum and society can result, when actors who engage on social media platforms such as Facebook utilise them as an instrument for either good or bad change. With the implementation of social media there is however a warning pertaining to practicing mindfulness for individuals and corporations who engage in social media campaigns. Further attention to exercising caution in their speech is necessary in addition to ensuring that individuals are not personally denigrated during their actions. Greater attention to detail is also warranted to better understand the motives and authenticity of campaigns deployed by organisations such as Change.org and Get Up! These groups who make bold claims about their mailing list numbers require extra scrutiny to ascertain their authenticity. This case in point is highlighted by the recent cyber- campaign against radio station 2GB and its sponsors, which was allegedly supported by characters such as “Mickey Mouse, Donald Duck and Bob the Builder.” This fact presents a major credibility challenge for the operators of such campaigns. This social media phenomenon sweeping across Australia is not new. Globally cyber activists took to the internet during 2010, 2011 and 2012 activating for change and enabling the Arab Spring revolution to take hold. This people power has resulted in several dictatorial regimes in Egypt, Tunisia and Libya losing power and collapsing. Likewise Russian citizens growing increasingly frustrated with their government’s corruption, state sponsored terror, torture, mass human rights abuses, propaganda and graft are increasingly turning to the power of social media in an attempt to inspire a change of leadership and overthrow deeply the entrenched Kremlin strongman Vladimir Putin. Australia has witnessed similar social media campaigns that have been deployed by cyber activists who have succeeded in exposing abuses of power and systematic torture in Victoria’s archaic mental health system during 2011 and 2012. To their credit Fairfax’s The Age detected the national disquiet and ran front page headlines on the shocking abuse and cover ups within Victoria’s Department of Human Services and the mental health system during this explosive period of upheaval. Another major cyber activism campaign run during mid- 2011 saw former Victorian Police Chief, Simon Overland’s actions relating to the alleged abuse of phone taping powers and the production of misleading crime statistics being made transparent to the public. This political meddling of the Victorian police crime data was revealed through an extraordinary Twitter and blog campaign that spilled over into the Australian mainstream media. At the time Victorian Police Minister Peter Ryan commented about the campaign disclosing Mr Overland’s alleged misdemeanours as the most extraordinary he had ever seen. When Mr Overland resigned several weeks later, consequently almost every member of Victoria Police force, the Victorian public, civil liberties and human rights lawyers and advocates were universally united in joy at their perception of the beginning of the end of police cover ups and corruption. Conversely the power of social media mobilized to find a young autistic Sydney boy Riley who recently went missing, after his frantic parents and local community enlisted search support through their Facebook cries for help. A neighbor found the boy alive after hearing of the search and rescue operation through the social media and traditional news sites. 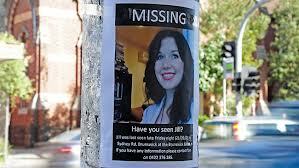 A similar case presents the power of social media, recently a young Irish woman’s family and husband engaged immense community support in Melbourne in a social media campaign that went global online in an effort to identify the attacker. The resulting outcome was the enormous public support assisted the police to capture and arrest the accused. Government MP’s, bureaucrats and corporate executives have nothing to fear from this new form of cyber activism. The caveat on this issue is unless they are abusing power and have something to hide. Any individual or corporation that attempts to cover up their corruption very often finds that their dirty secrets are often aired in a very public and transparent fashion. It is paramount to realize that in today’s rapidly shifting sands of time that transparency and accountability remains the foundation to a healthy functioning democracy and a prosperous society. Mr Abbott yesterday concluded a radio interview by stating that the Liberal party “were united in their endorsement of free speech, which was an “absolute core principle” of the Liberal National Party. United States President Barack Obama also has declared that ‘the more freely information flows, the stronger societies become’. © Copyright. 2012 – 2013. All Rights Reserved. ← What do misogynists, Alan Jones, Julia Gillard and the “handbag hit squad” have in common? Undeniably consider that that you stated. Your favorite reason appeared to be at the web the easiest thing to be mindful of.